Duct tape facts present the function of the multipurpose tape. You can use it for different kinds of damages that you find on the room. Sometimes the creative people use duct tape to make a cloth. This item should be on the house just in case that you want to repair the leaky water pipes and the broken automobile seats. Johnson and Johnson Company is the first company invented and produced duct tape. It was actually created to prevent any moisture trapping inside the ammunition cases for the American military in WW II. You can compare the original duct tape with the modern one on the stores. The original one was not sold for public. It was used only by the American military. The color is in military green with waterproof feature. Then the American soldiers find out that this duct tape is very purposeful to cover the ripped bags, broken tents or even scraped jeep seats. This name attached to the duck tape was given because of its waterproof system. Soon after the wall was over, the company sold this tape for public. It gains a lukewarm mood due to this beneficial function. The people at that time used the duct tape for the duct work in cooling and heating system at home. This simple product is very popular. Each home in US has it. 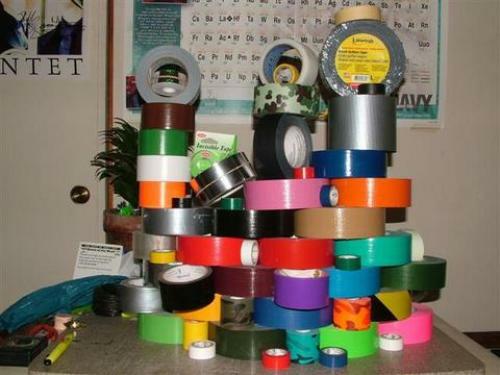 If you extend all of the duct tapes sold by the companies in a year, it can be used to wrap our earth 12.3 times. If the original duct tape came in military Green, Now Johnson and Johnson tries different look by serving the people with silver chrome color. It is used to match with the color of the duct work. There are three layers on the duct tape. The rubber based adhesive is the bottom layer. The middle layer is occupied by the mesh made fabric. The top part is the plastic substance. When you like to cut a duct tape, you can use your bare hand. There is no need to find any scissors. The spaceship used in Apollo 13 flight mission will never be completed without a duct tape. 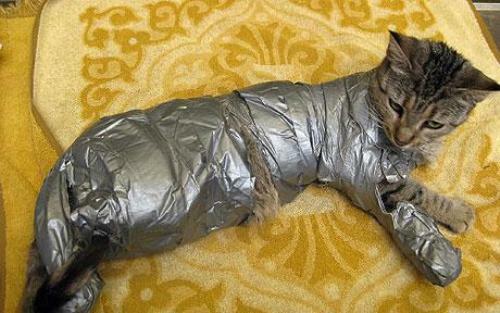 NASA used this duct tape to seal the makeshift device. The leading manufacturer of duct tape in 2005 is Henkel. 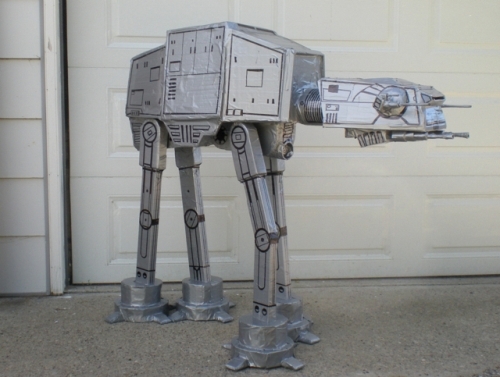 In that year, this company sold 873 million yards of duct tape. 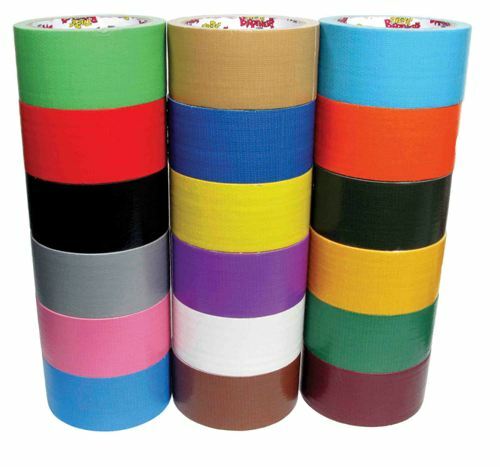 The length of this tape can be used to stretch on the great wall in China for 119 times. Are you interested with facts about duct tape?